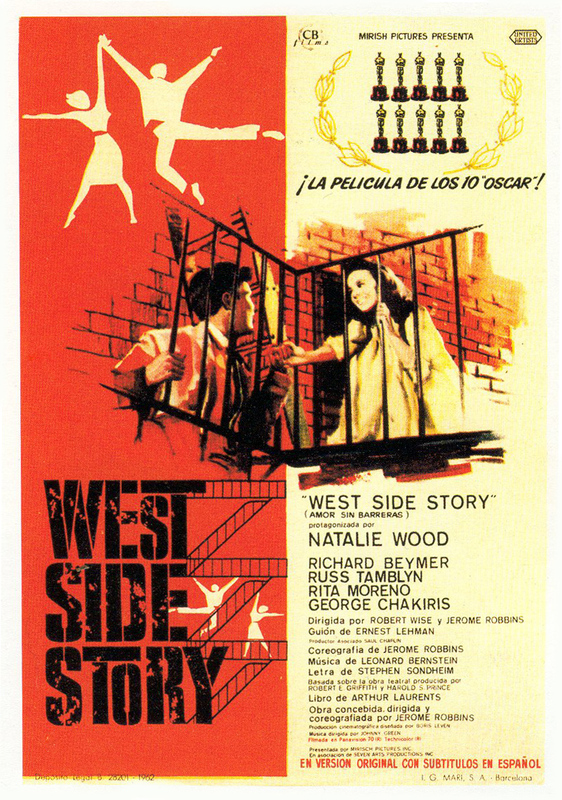 Natalie | 1001 Movies…Before I Die! In my review of the another John Ford, John Wayne, western on this list, I complained about the fact that the story seemed shallow, the characters didn’t seem invested in what was happening to them, and that Wayne couldn’t act. Stagecoach was a blueprint for most of, if not all of the westerns that came after it, The Searchers included. But where Stagecoach attempted and (in my humble opinion) didn’t succeed, The Searchers passes with flying colors. Everything from the scenery, the plot, and the acting was leagues better in this film. Apparently I spoke too soon. The Searchers, despite the trip that drives the plot, is really about the relationship between two men. One, played by the perfectly crotchety Wayne is a hardened soldier, Ethan Edwards, who after having fought for the south in the Civil war, has an intimate knowledge of the evil that men can do to each other. The other, Jeffrey Hunter, plays the slightly naive Martin Pawley, the adopted, half Native American son of Ethan’s only family. At first, Ethan both distrusts as well as dislikes Martin because of his nationality, but eventually the two men find themselves working together when most of the family gets brutally massacred by Comanche indians, and the women are taken hostage. Edwards and Pawley set out on an epic journey to find the two lost women, and in the process reveal a good deal about themselves. Their ride takes them from New Mexico all the way north to the Canadian border. They slog through the heat, rain and snow for 5 years looking for the elusive band of indians that are responsible for the massacre and kidnapping. The real revelation for me with this film, was Wayne’s acting. He doesn’t just play a stereotype version of himself. While Ethan is tough, and smart, he is also mean and wounded. He’s been hurt before, by the Union, by Comanche indians, and he’s not about to let himself be hurt again. Wayne plays him realistically, blemishes and all, flexing his acting muscle and in my eyes earning the notoriety that surrounds him. Hunter’s Pawley is essentially the relief from Wayne’s gritty performance. It balances the tone of the movie, keeping it moving forward on an even keel. Hunter’s is not nearly as profound of a performance as Wayne’s, but it is exactly what is needed from his character. The film both starts and ends with an image of Wayne in his element, and he is truly the character that changes the most. Cinematographically, this film is miles beyond what we saw in Stagecoach. One major element is the brilliant Technicolor that it was shot on. The saturated blues and reds of the landscape mix and accentuate nicely with the passion of the character’s emotions. Everything is bright, shocking, and powerful. The vistas of Monument Valley have never looked as good as they did here (fully taking care of one of my complaints about Stagecoach), and the full range of climate, weather, and time of day was on display in this film. Oppressive snow storms, rain, hot sun, and nighttime action are all on display here. Our characters live in a hard scrabble, dangerous, yet beautiful environment, one that they must be wary of at all times. The aforementioned shot of Wayne that opens and closes the movie, is such a fantastic way to introduce the character at the start, and illustrate how he has changed by the end, it is by far my favorite part of the film. Before I started it, I was more than expecting to see Stagecoach 2, but instead I got a thoughtful, elegant film with masterful performances by its actors, and subtle yet powerful guidance by its director. 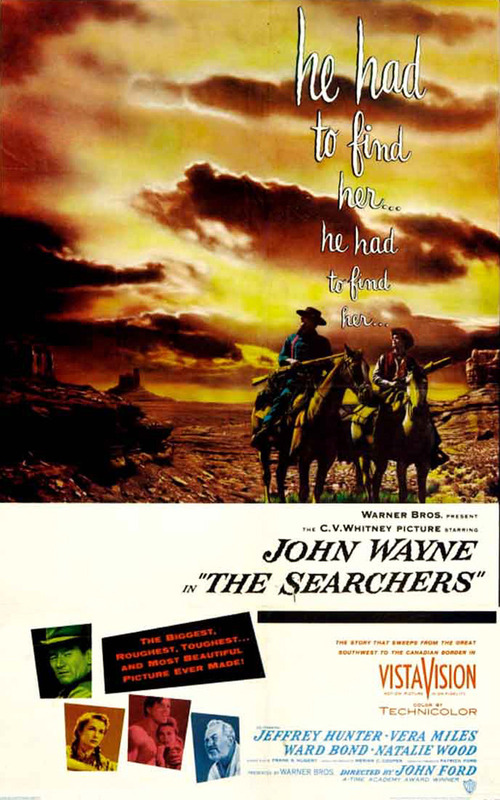 The Searchers more than deserves to be on this list of best movies ever!